There are three considerations that can help you determine the sweet spot for you eBook's price. The price points of similar eBooks. Your standing in the market. 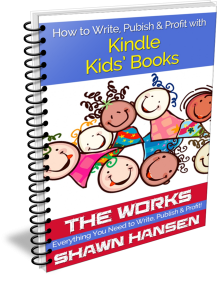 The purpose and plan for your eBook. Let's take a closer look at each of these points. Your eBook should be priced like others like it. Don't fall into the trap of thinking of setting your price lower than every other eBook out there in order to attract more buyers. Perceived value is important, and if your eBook is significantly less than others like it, many consumers will equate that to a product of lower quality. Likewise, thinking you can get far more than the average for your book is a mistake. Even if you think your eBook is far better than anything else like it, consumers will dismiss eBooks that are overpriced. An author with a huge following, multiple publications, and numerous awards can command a higher price than authors who don't have those credentials. 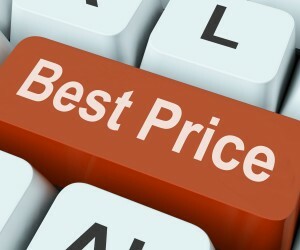 Don't try to compete in price with people at the top end of the pricing spectrum unless you have similar credentials. If you want to gain exposure, what do you plan to do to capitalize on it? What do you mean by “exposure,” and how does that help you down the road? Pricing high can ensure you control your buyer population. In other words, if you put a stiff price on your eBook, you will probably get fewer sales, but you are likely to attract serious customers. To pull this off, you probably need to have a significant standing in the market. Test. See what works for YOU and YOUR market. Adjust as needed, and always keep track of what you're doing, so you can look back and review your process. I Earn My Living with My Words, and You Can, Too! After leaving a 10-year career as an English professor, I became a full-time Author Entrepreneur in 2010. On my way to selling nearly 2,000 short stories, earning awards with my writing, creating 40+ products, and self-publishing 14 books, I've learned how to Write, Publish & Profit. I can help you do the same. 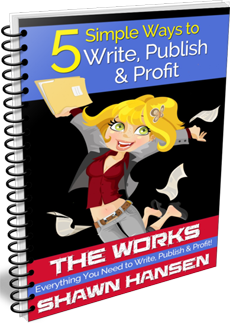 FREE Course for Writers: 5 Simple Ways to Write, Publish & Profit!